Lauren sent me a link to Chris Rafferty's artwork (above). This is pretty much how we would want the 3D ink and paint to look like. The thing is we would have to do this using animated textures. 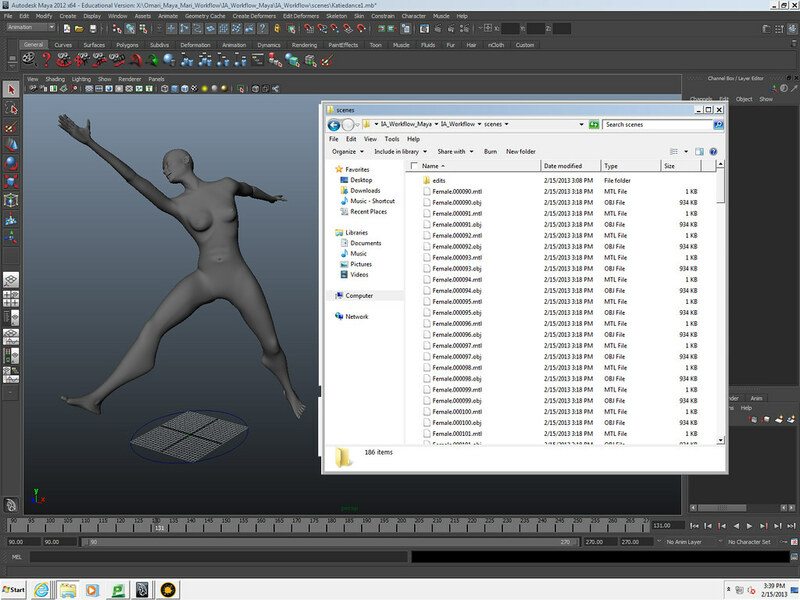 Ensure you have set a project directory in maya to make this easier. 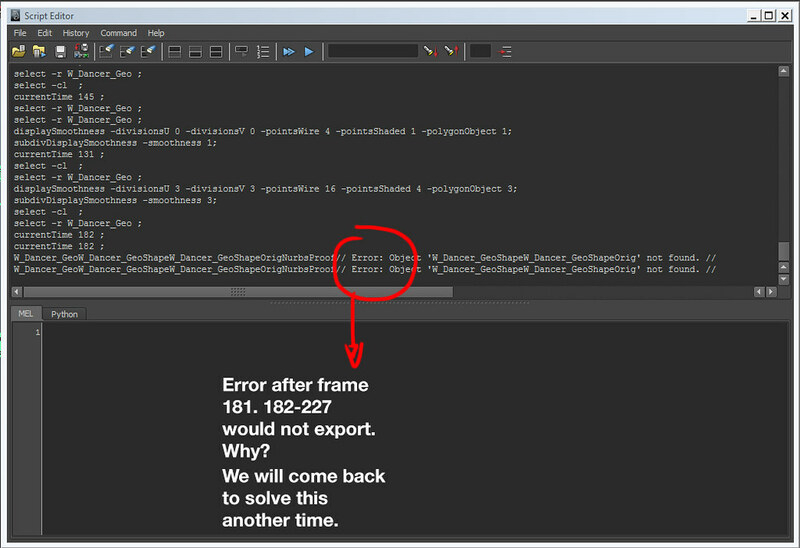 Download ".OBJ" sequence exporter MEL script from Creative Crash here. Save in scripts folder of project directory. 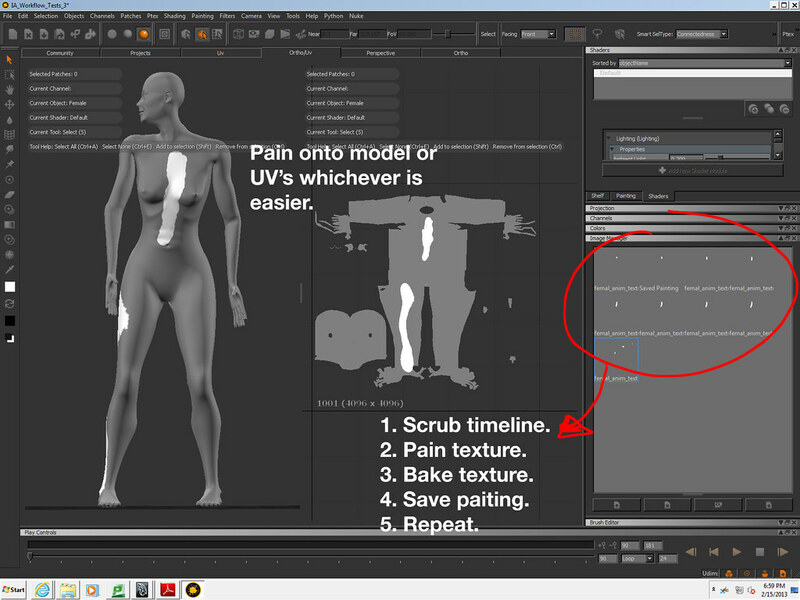 Convert Maya model to smooth click "Modify" > "Convert" > "Smooth mesh preview to Polygons." 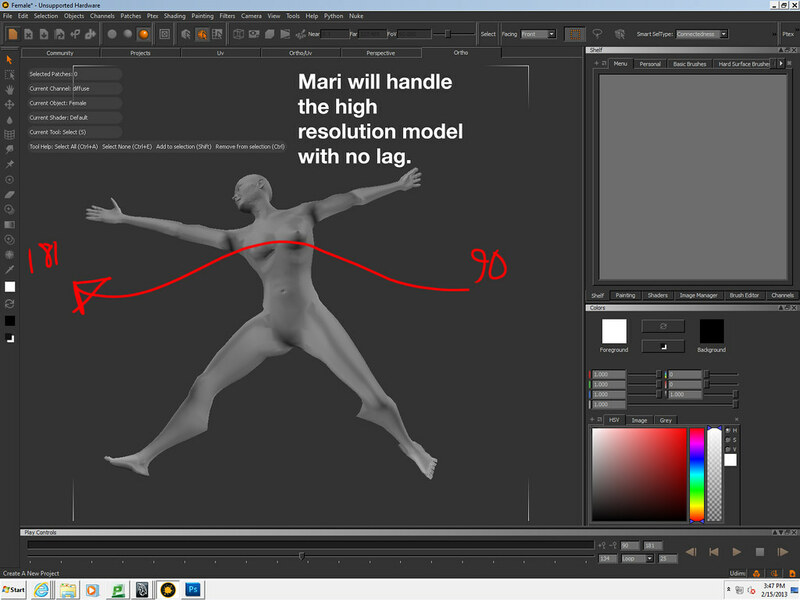 Maya will lag because it can't handle the poly count. Ensure timeline only included the frames you want to export as this is what the MEL script is looking for. Select mesh and run ExportOBJSequence.mel script from the MEL command line. The MEL script will have exported a series of .OBJ files to your Scenes folder in your project directory. Open The Foundry's Mari. If there are issues with the dialogue box just press "Launch" and it should open. Cope the saved texturer paitning from the Mari project file to the Maya project file in the "Source Images" folder. Open the Maya file with the un-smoothed model we saved earlier. We do not need the smoothed model. 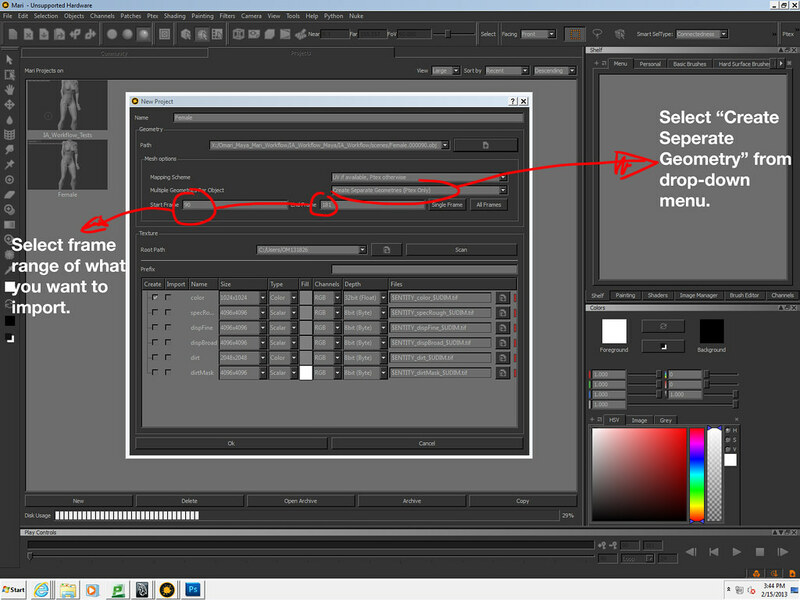 Plug the texture texture painting you saves as a sequence into the color node in maya. 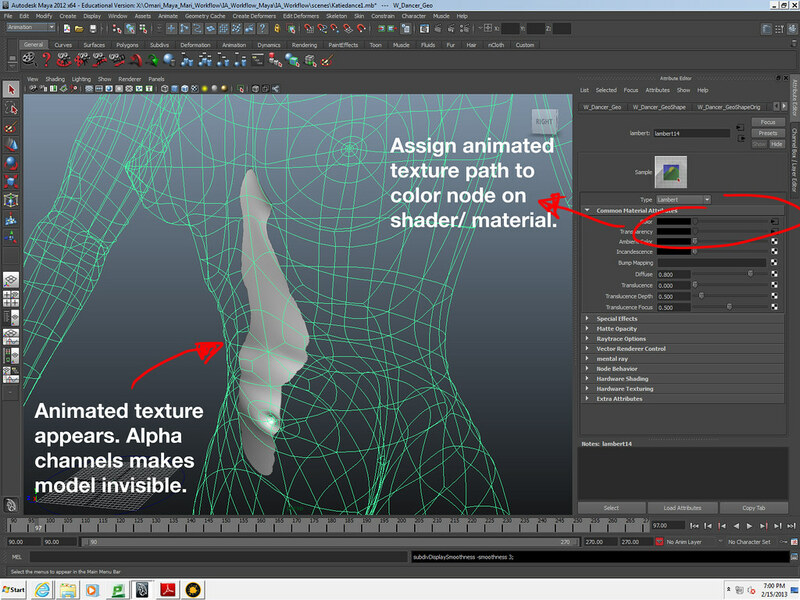 Maya will recognise the TIFF alpha channel and take care of transparency for you. 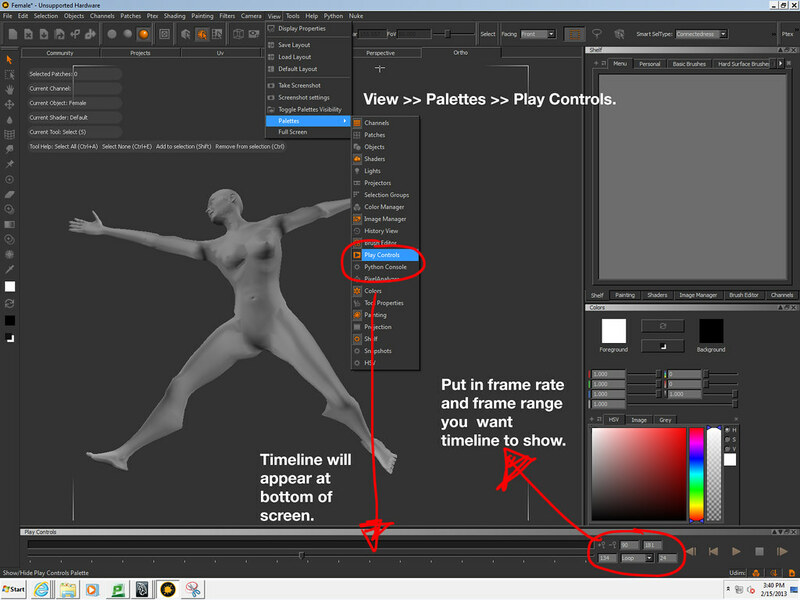 You will not be able to see the model and texture at the same time so it will appear in the viewport as below. If not press "6" on the keyboard to show the "textured" view. When you scrub the timeline you will notice that the textures do not yet animate over time. To put this into effect check the __ option box.